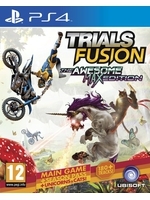 The unicorn-riding cat shows off in this new trailer of Trials Fusion: The Awesome Max Edition. The Awesome Level Max addon pack includes 20 new tracks and the Awesome Adventure. It will be out on July 14th.